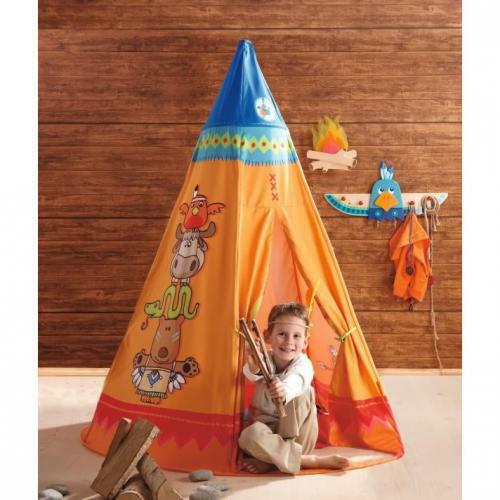 Full Description Tepee Play Tent - He will have the nicest shelter in the whole village with this fun Teepee Play Tent. Any explorer would be thrilled to take nap time in this awesome Indian teepee! Great adventures are just waiting for you! Easy tear down for space saving storage. For ages 1 and up. Not designed for camping or outdoor use.